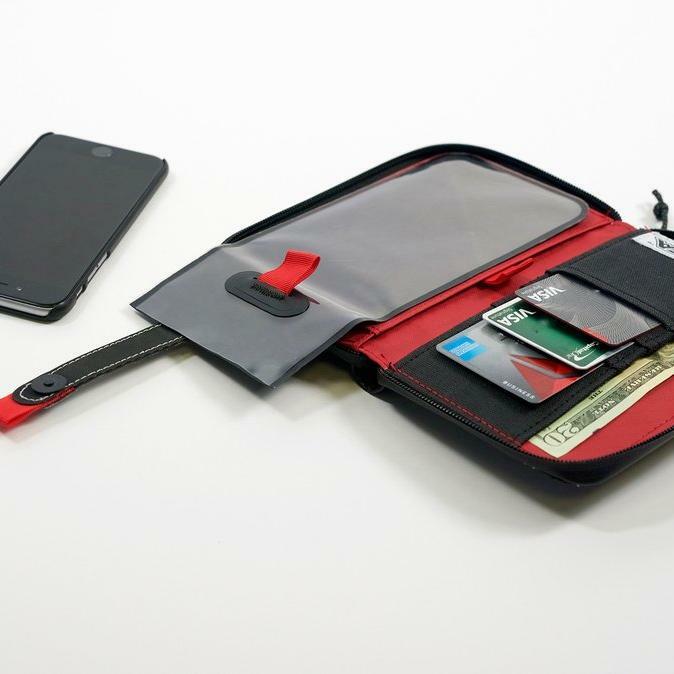 At last, we've found a jersey-pocket phone case that is both stylish and functional. 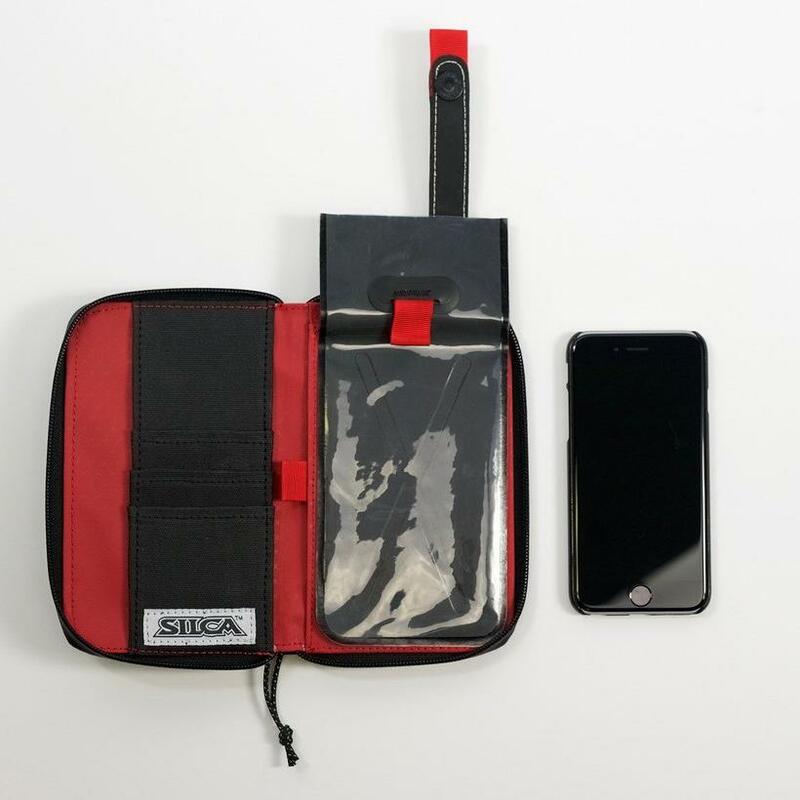 SILCA's Phone Wallet contains a fully waterproof "dry bag" that will keep a phone up to the size of an iPhone 7 (even including a thin case - up to 160mm x 80mm x 8mm) safe and secure during even the wettest of rides. 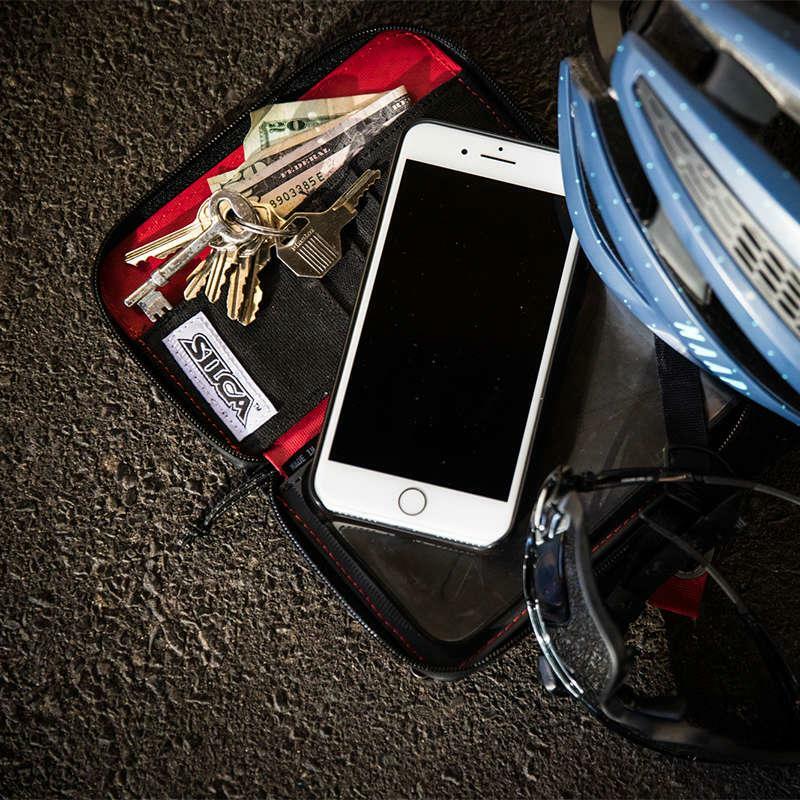 Larger phones up to the size of an iPhone 7+ will fit in the weatherproof outer compartment. 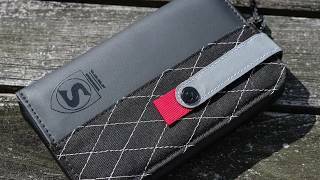 SILCA started by working out what would fit comfortably and securely in a standard jersey pocket and built their design from that point. 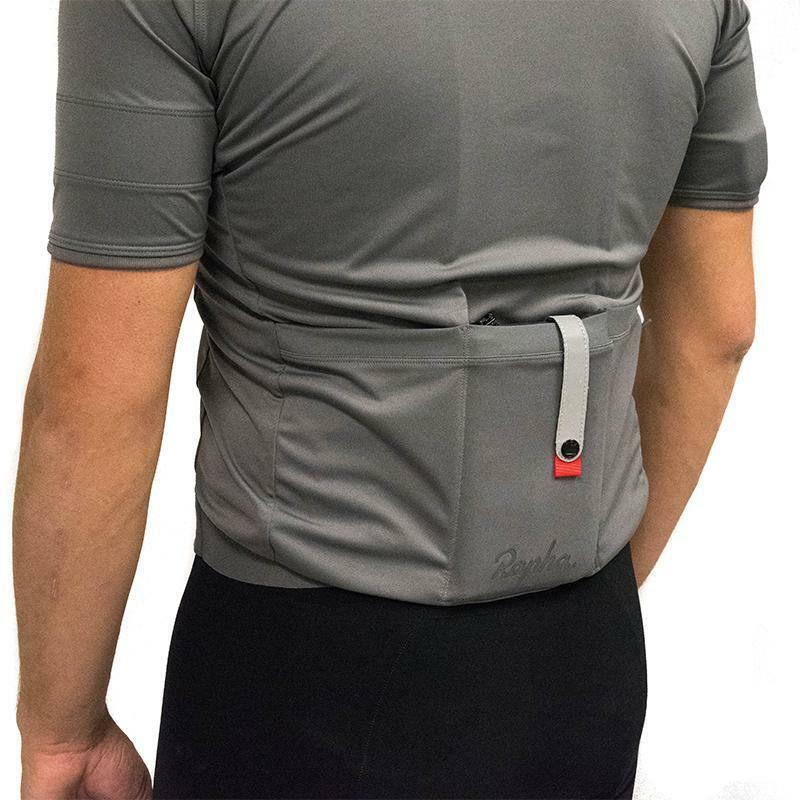 The end result is compact yet capacious, allowing you to carry the maximum volume of necessities without stretching the jersey out or compromising fit. 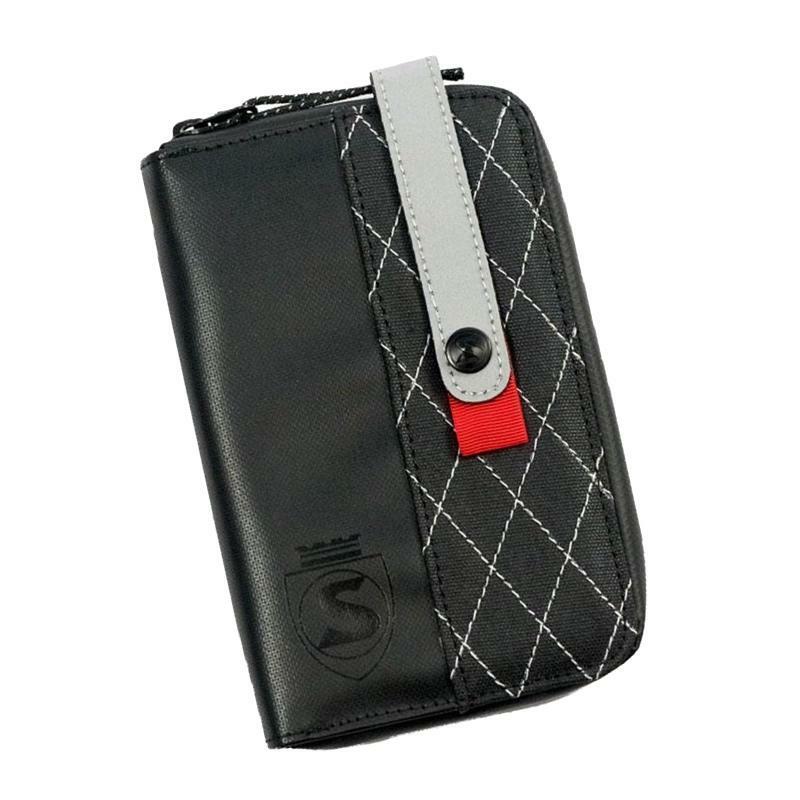 Each bag is hand sewn from SILCA's proprietary Waxed Duck Canvas with reflective quilting, premium weather-resistant YKK zippers, and includes a unique, high strength 3M® reflective tab which wraps over the top of your jersey pocket and attaches to the bag magnetically, adding over 1500 square millimetres of reflective surface to any jersey you own. 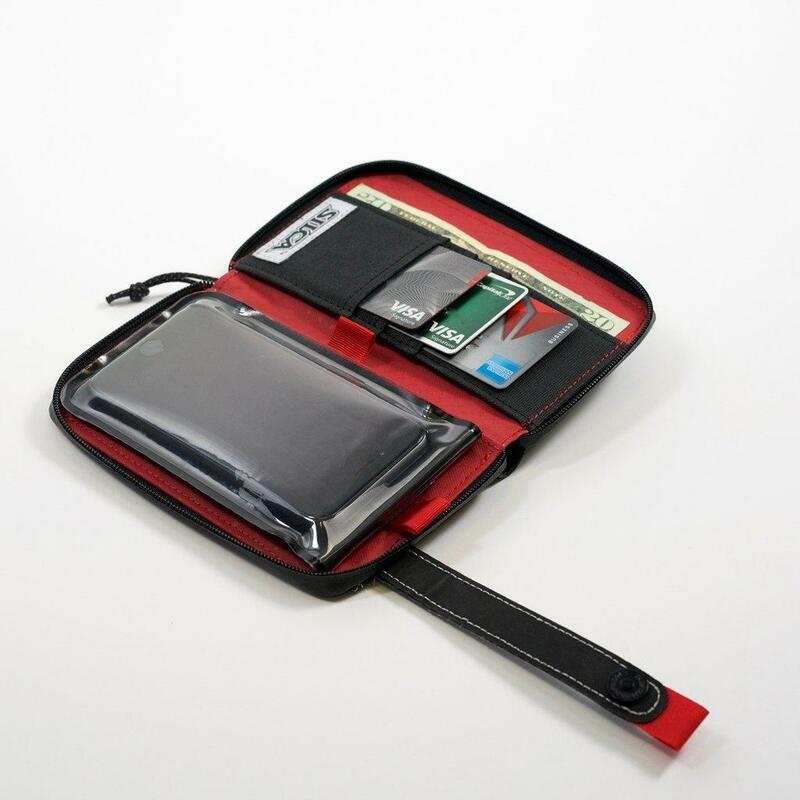 image for illustration only, phone/contents not included!